CorroCable Screen Panels are high performance tension screens that provide long wear life, high flexibility, and optimized efficiency for Mining & Aggregate Screen applications. CorroCable steel cable screen panels are tensioned prior to molding with one of Corrosion Engineering’s proprietary rubber compounds. The use of steel cable reinforcement maximizes open area, while reducing the weight of the screen deck. Steel cable reinforced screens do not stretch. The use of steel cable reinforcement maximizes open area, an issue with other manufacturer’s rubber screens. Our steel cables are encapsulated in our proprietary rubber compounds to provide long life, durability, and increased productivity. The ends of the pre-tensioned cables are securely fastened to the side clamps to eliminate the possibility of losing tension. All apertures are tapered to minimize plugging. To maximize the range of applications, CorroCable screens are available with both square and slotted openings. Square opening size ranges from 1/8” through 7 ¾”, with slotted openings ranging from 1/8” x ½” through 3” x 6”. Screen thickness at the location of apertures ranges from ¾” to 3½”, depending on aperture size. CorroCable screens are also available with Corrosion Engineering’s proprietary Hi-Pro slotted openings with sizes ranging from 5/16” x 11/16” through 2” x 6”. Thickness at the apertures range from ¾” to 2 ½”, depending on slot size. 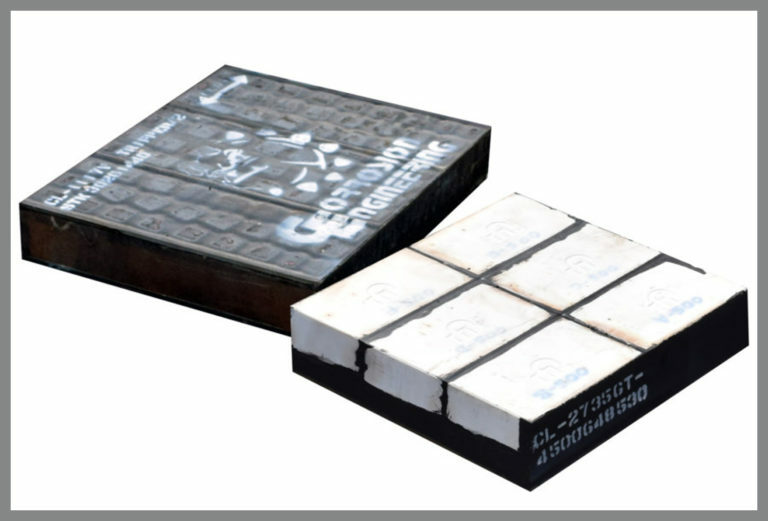 Advantages of CorroCable include greater wear life translating into reduced total cost per processed ton, no stretching, reduced plugging and blinding, increased throughput, increased stratification, and more.